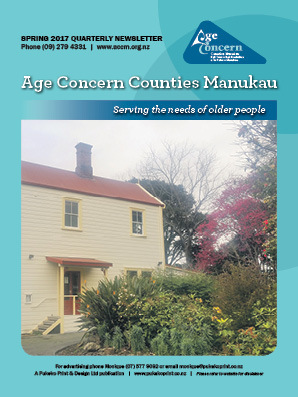 The Age Concern Counties Manukau publication is a quarterly A4 colour newspaper, which contains editorial and news items from Age Concern to their membership. 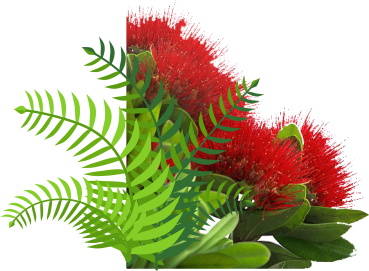 Age Concern Counties Manukau provides co-ordination of information and case management to many older people in the region of Counties Manukau everyday, across the 4 CMDHB localities of Franklin, Eastern, Mangere/Otara and Manukau (including Papatoetoe, Papakura and Manurewa). Being community based not-for-profit, Age Concern has developed good relationships with older people, a lot of good will and respect. Our current services include: Accredited Visiting, Health Promotion, Elder Abuse and Neglect Prevention, Total Mobility Assessment, Volunteering Opportunities and Community Offices.